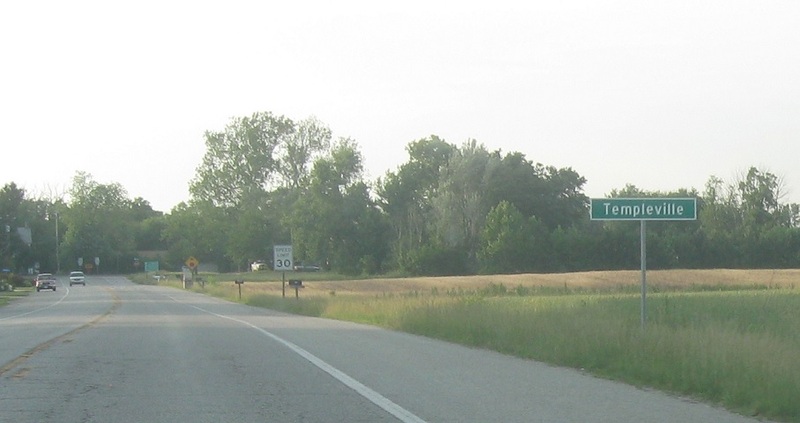 About a mile after we head out of Marydel we’ll enter unincorporated Templeville. In Templeville we’ll approach MD 302. 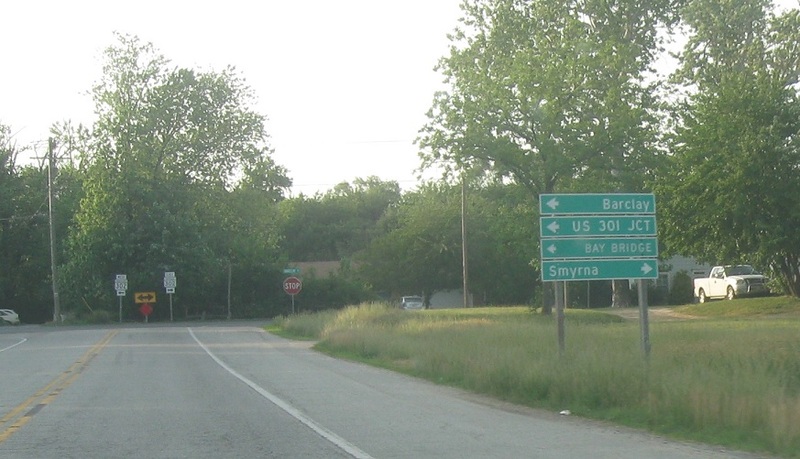 Follow 302 east to Smyrna, Del. Take 302 west to Barclay, US 301, and the Bay Bridge. 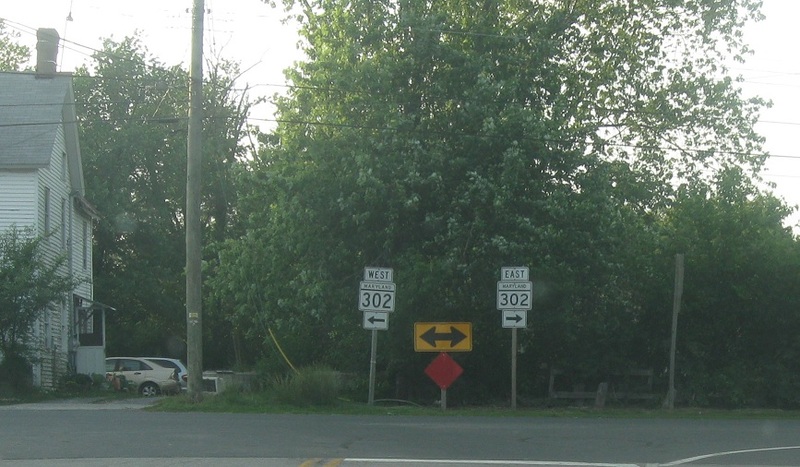 Turn left for 302 west and right for 302 east. Route 454 ends.